What is the best way to say “Happy Birthday” to a growing tech company with employees around the world? We helped answer the call with a custom t-shirt, featuring amazingly soft fabric, an amazingly soft imprint, specialty ink application for a birthday candle featuring puffed ink and glitter, and a custom Jamf neck label. 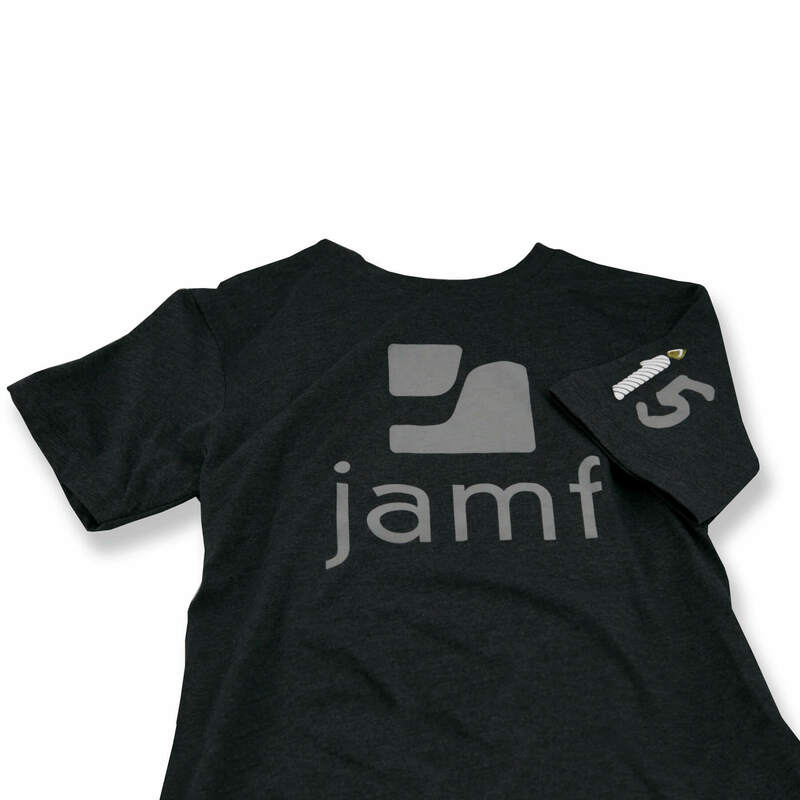 The shirt is part of a growing collection of custom t-shirts produced by Identity Works for Jamf, which they love so much they frame and display at their main headquarters.